We couldn’t have come up with a better name for this restaurant. 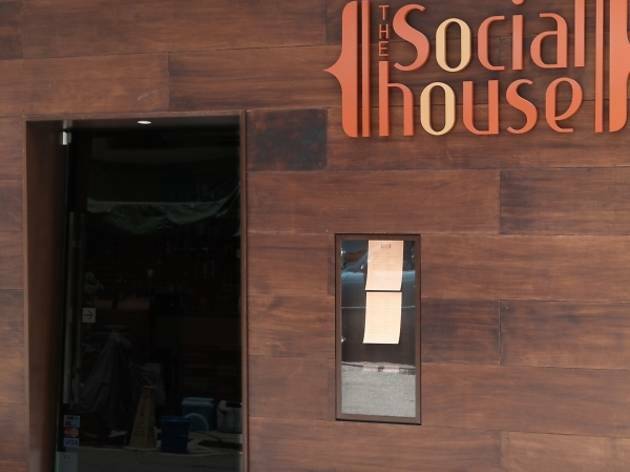 The Socialhouse is a place where the chefs and owners readily mingle with their guests. 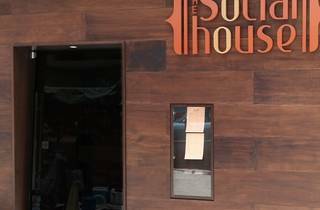 It’s a casual environment, designed to go with the refined comfort cuisine chef Ken Fung and his team whip up. Hearty plates fare the best, like the smoked pork belly ($168), a huge block of fat-striated meat balanced over roasted purple sweet potato mash. There’s a liberal smear of tart berry sauce to help cut through the grease and the sautéed ‘shrooms and creamed spinach on the side provide earthy comfort without weighing down the already heavy dish. But when it comes to balanced offerings, it’s the roasted quail lemon cream risotto ($128) that really impresses. This stellar dish has al dente pearls of citrus-scented rice piqued by bits of salty, spicy chorizo sausage. While the quail is on the scant side, it’s a tender, crisp-skinned bird brimming with delectable, lemony notes. Surprisingly, foie gras – that buttery epitome of high-end comfort food – fails to excite here. There’s a goose liver panna cotta ($138), which carries a grainy texture and mild foie flavour. The only thing that would warrant a thumbs-up would be the caramelised, honey-infused pineapple that rests above the pudding. We also try the mac n’ cheese ($168) with penne tossed in a rich and creamy sauce. The foie that crowns the dish, however, is depressingly thin, overseared and slightly dry around the edges. We appreciate the twists in the desserts, most notably with the wasabi cheesecake ($88) and lemongrass tart ($48). But, for the latter, the herby aromas are pretty much indiscernible. On the upside, it’s topped with a toasted meringue that marries well with the custard. 12-13 Shepherd St, Tai Hang, 2808 2638. Daily 6pm-1am. Dinner for two: around $750.